Recently, NYSPA has been mentioned in several newspaper articles regarding the SAFE Act reporting requirements. In order to provide more complete information on NYSPA's position on this important issue, we have issued the following press release with detailed information on our position. The New York State Psychiatric Association is a medical specialty association representing more than 4,000 psychiatrists practicing in New York State ("NYSPA"). The Secure Ammunition and Firearms Security (SAFE) Act (S.2230/A.2388), signed into law by Governor Cuomo on January 15, 2013, is a gun control statute aimed at substantially strengthening laws governing access to firearms and ammunition. However, the law also includes provisions mandating that certain health care professionals report to a local director of community services when they conclude in their reasonable professional judgment that a patient "is likely to engage in conduct that would result in serious harm to self or others." NYSPA supports gun control measures in general and also supports steps to strengthen Kendra's Law, the state assisted-outpatient treatment statute. However, we have concerns about the SAFE Act reporting requirement because we believe it may adversely impact the willingness of individuals who would benefit from mental health treatment to come forward and seek out that treatment or continue with ongoing treatment. We do not support this new requirement because it improperly intrudes into the psychiatrist-patient relationship by mandating disclosure of information absent exigent circumstances. The duty of confidentiality between a doctor and patient is one of the core guiding principals of the practice of medicine. 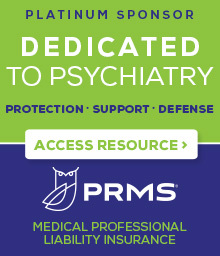 The principle of the confidentiality of medical care is even more critical in the practice of psychiatry because psychiatry is unique among medical specialties in that patients' disclosure of their inner thoughts and feelings including angers, hostilities and resentments, is often essential to the treatment of mental illness. If patients do not feel secure that the information they provide to the psychiatrist will be kept confidential, they may be reluctant to enter into treatment or continue with ongoing treatment. In this regard, the mandatory disclosure requirements of the SAFE Act may dissuade individuals from pursuing needed treatment precisely because they feel that their confidences will not be kept confidential. At the same time, however, psychiatry recognizes that the duty of confidentiality may yield to public health and safety concerns when a psychiatrist concludes that a patient presents a serious and imminent risk of harm to self or others. In that situation, a psychiatrist may elect to breach confidentiality in order to prevent injury or possible death. However, such breach is only justified when the disclosure is made to either the potential victim, if identifiable, or to law enforcement to attempt to prevent potential harm or injury. In addition, after any potential danger has been averted, law enforcement should work with the treating psychiatrist to decide if the patient should be brought to a hospital emergency room for evaluation to determine whether inpatient care and treatment is required. The critical element here is that the disclosure may prevent the possible harm or injury either by notifying appropriate individuals or law enforcement authorities who are able to take immediate action, including bringing the patient in for psychiatric evaluation. Without this element - disclosure to prevent harm or injury - the breach of confidentiality would not be warranted. The key problem with the SAFE Act reporting requirement is that the report is made to the local county or city director of community services - a government employee who has no law enforcement capabilities to intervene to prevent possible harm. In turn, the local director of community services may report to the NYS Division of Criminal Justice Services where a determination will be made if the patient possesses or is seeking a license for a firearm. However, neither the local director of community services nor the NYS Division of Criminal Justice Services has the staff or authority to intervene and prevent the patient from harming self or others. Immediately following the passage of the SAFE Act, NYSPA drafted a proposal for amendments to the SAFE Act reporting requirement that we believe would strike a balance between the need for patient confidentiality and the need to prevent or lessen a serious and imminent threat to individual health and safety. Under our proposal, the law would permit, but not mandate, a disclosure and reporting should be triggered only when the treating professional concludes that there is a serious and imminent danger to the patient or others. We suggested that the report be made to those in danger or to local law enforcement who can ascertain whether the patient has a firearm and take immediate action, if necessary. Finally, our proposal stated that, absent malice or intentional misconduct, no criminal or civil liability should attach either to the decision to report or the decision not to report. The new reporting requirement also conflicts with a longstanding provision of state law that applies only to psychiatrists and psychologists working in facilities licensed or operated by the NYS Office of Mental Health (OMH) and the NYS Office for People with Disabilities (OPWDD). Mental Hygiene Law §33.13(6) authorizes, but does not mandate, the release of information to warn possible victims or law enforcement in the event a patient presents a serious and imminent risk of harm to self or others. Although MHL §33.13(6) permits employed psychiatrists and psychologists to make such a disclosure, it explicitly states that nothing in the law shall be deemed to require such a disclosure. Therefore, the SAFE Act mandatory reporting requirement is clearly in conflict with pre-existing state law. Unlike the SAFE Act, MHL §33.13(6) strikes the proper balance by authorizing, not mandating, disclosure and directing the disclosure to possible victims or law enforcement so that immediate action can be taken to prevent a tragedy. In addition, a separate state law enacted in 2008 requires hospitals to submit to OMH and OPWDD the names and other non-clinical identifying information of persons who have been involuntarily committed to a hospital. OMH and OPWDD will, in turn, submit the information to the National Instant Criminal Background Check System (NICS). NICS is a national computer system administered by the U.S. Department of Justice and used by firearms dealers to perform background checks on potential purchasers of guns and other weapons. The goal of this legislation was to increase the number of reports to the NICS database in an attempt to prevent potentially dangerous individuals from purchasing or possessing firearms. Here is another example of a statute already in place that addresses the need to prevent potential threats to health and safety. Finally, NYSPA has also expressed concerns that the SAFE Act reporting requirement conflicts with certain standards set forth in the Health Insurance Portability and Accounting Act (HIPAA) and implementing regulations. First, the SAFE Act does not comport with the HIPAA rule permitting the disclosure of health information to law enforcement or to a potential target in order to prevent or lessen a serious and imminent threat to health or safety. The SAFE Act reporting requirement does not meet either of these two standards because it does not require that the threat be immediate and the report is not made to someone who is reasonably able to prevent the threat. Second, the SAFE Act does not fall under the HIPAA "required by law" exception. This provision permits a disclosure of information in compliance with a separate legal mandate that compels the use or disclosure of information. The SAFE Act reporting requirement does not meet this standard because it is not truly compulsory -- it includes an exception to the duty to report with respect to any action which, in the exercise of reasonable professional judgment, would endanger the reporter or increase the danger to a potential victim or victims. The SAFE Act can be distinguished from other compulsory reporting requirements, such as New York Social Services Law §413, a law that compels the release of information in connection with suspected child abuse or maltreatment without any limits or exceptions whatsoever and states that failure to make such a report is a class A misdemeanor. It is easy to imagine that by the time the cumbersome process contemplated by the SAFE Act works its way through the levels of bureaucracy, a tragedy will have already occurred. NYSPA continues to work diligently to bring our concerns to the attention of the Legislature and Governor and convince Albany that there is a better way to address the issue of reporting of imminent risk to self or others. Seth P. Stein, Esq., NYSPA Executive Director and General Counsel.